China boasts one of the world’s greatest cuisines. Chinese food is famous all over the world. In India, eating Chinese is a casual, everyday affair. Chinese cuisine is as common an option as any other native Indian cuisine is to the average Indian. The China Kitchen showcases the concept of dining in the kitchen, offering a stylized replication of the traditional oriental dining experience. The restaurant comprises of four sections including: an open kitchen that is encountered immediately on entering the restaurant, through the big wooden door in golden and black hues; five skillfully designed private dining rooms, the wine wall and tea bar, and the dining area. The private dining areas are a major highlight here, and are named after the Chinese provinces viz Sichuan, Hubei, Guangzhou, Anhui and Hunan. The interiors are stylishly elegant combined with the light soothing music that sets the mood for an exquisite meal. The China Kitchen has been in existence since the last 10 years and has mostly been on top when it comes to serving the best of Chinese food in Delhi. It is indeed a very bold step to change the menu, and that too about 60 %, of a place that has hundreds of loyalists. Keeping the basics and specialties intact like the Peking duck the new menu is majorly influenced by the Sichuan region. The new mouth-watering menu comprises of dumpling selection such as glutinous rice chicken roll, spinach mushroom dumpling etc. and an array of meat and poultry dishes such as Braised Spicy Pork, Twice Cooked Crispy Duck with five spices with Beijing sesame pancake etc. Chef Jack Aw Yong, Godfather of Chinese cuisine had been flown in specially from Park Hyatt Beijing to undertake this Herculian task. The results are spectacular, I must admit. The new menu aims to bring novel things with freshness and focuses on variety by offering dishes from Mapo Tofu puff, Crispy Crab Claws to Hot & Sour Truffle Mushroom Soup. Some of the signature dishes the new menu will serve are Chilly Jumbo Crabs served with freshly baked baguette and the twice cooked Crispy Lamb Shank. It is not just the food; there have been new additions to the desserts as well. The Cognac Chocolate Cigar and Chinese Egg tarts are definitely not to be missed. 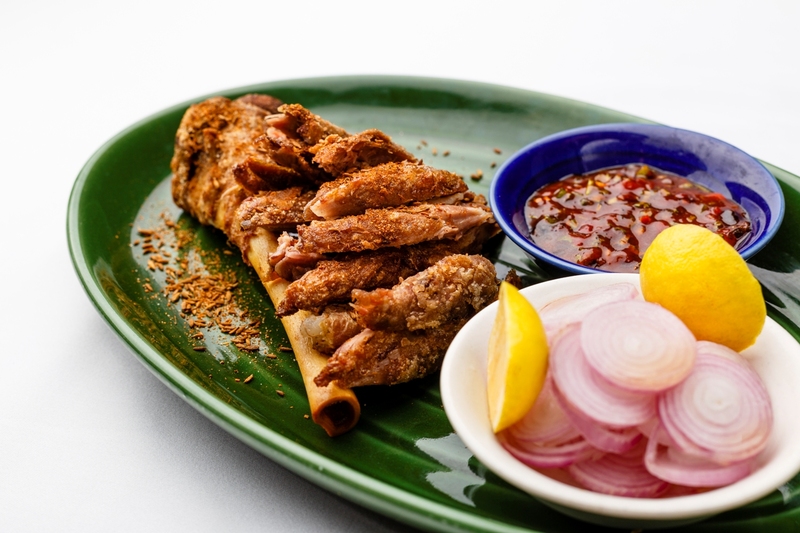 We tried the twice-cooked Crispy Lamb Shank which was just awesome bursting with the cumin flavor and a texture to die for; this is our favourite amongst all others. The Warm Fungi salad was good and the Dimsums as always were the highlight of the meal. I would especially recommend the Crystal Vegetable Dumplings with fresh peas, sweet corn, celery and wood-ear fungi. The Shrimp stuffed inside a bell pepper and the minced meat stuffed inside the zucchini was rather unique. Coming to the mains, it was the Hunan Style Sliced Pork that stole my heart. The traditional “Mapo” Tofu with chilli, chives, garlic and Sichuan peppercorns was such an explosion of flavours. The silk-like tofu is unlike anything we have had before. We are die-hard asparagus fans and were looking forward to the China Kitchen’s rendition of this spectacular ingredient. Their stir-fried asparagus with porcini and crispy shallots was a tad sweetish. And though it did not disappoint, it didn’t quite wow either. We also found the Sichuan fried noodle quite regular but the Northern-style fried rice was something else altogether. They were just so brilliant, you needed nothing else alongside! For dessert the chef had planned the Cognac Chocolate Cigar for us, along with orange liqueur. Brilliant pairing again, only the liqueur can be rather a sharp hit on its own. 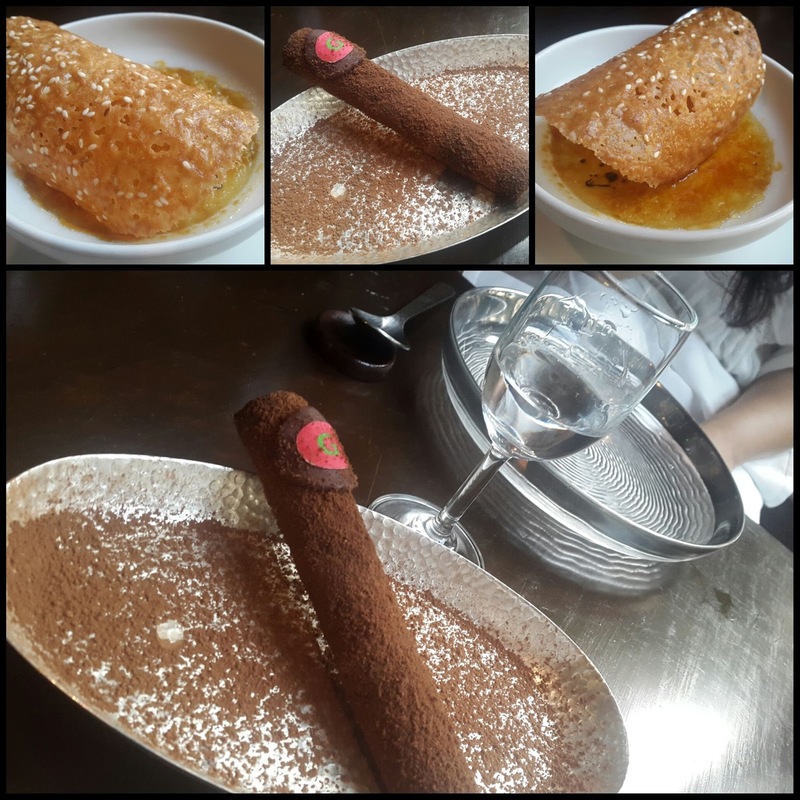 We think instead of sipping it after a bite of the chocolate cigar, chef could perhaps develop a way of incorporating it into the cigar itself or perhaps one could douse it in the liqueur before the bite. We also hope to try more oriental flavored desserts on our next visit there. Ending our meal with a lovely, soothing jasmine tea, we just sat back in our couches – beaming with a satisfaction that can only come from a beautiful lunch. China Kitchen was an experience in flavours, textures, comfort, charm and impeccable hospitality. We would recommend this as one of the finest dining experiences Delhi has to offer.